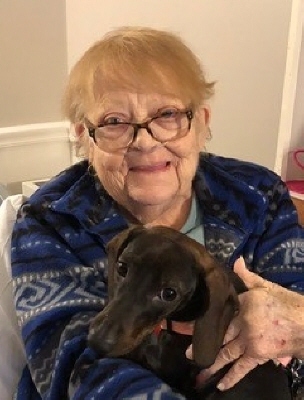 Bonnie D. (Gibson) Randall, age 75, died Tuesday February 5, 2019 at Ana Jacques Hospital in Newburyport after a long illness. Born and raised in Beverly. She was the daughter of the late Douglas and Eileen (Tucker) Gibson. She work for many years as a defense contractor as a procurement for the US Government. She later worked at the Hunt Nursing Home in their office. She was a beloved mother, grandmother and friend. She lived her life for her sons and granddaughter. She is survived by two sons, Todd Randall of Danvers, Troy Randall and his companion Julie and her daughter Amber; a granddaughter Alexis Randall USN of Danvers stationed in Rota Spain; close friend Ronnie Johnson; four dogs Macy, Ruby, Maggie and Tootsie. She was predeceased by a brother Bruce Gibson. To send flowers or a remembrance gift to the family of Bonnie D. Randall, please visit our Tribute Store. "Email Address" would like to share the life celebration of Bonnie D. Randall. Click on the "link" to go to share a favorite memory or leave a condolence message for the family.